During recent decades there have been important achievements in archaeological studies of Central Vietnam. The achievements in excavations and research results on the transitional period from Late Prehistory to Early History, c. 500 BC to c. AD 300, on the late Sa Huynh culture and the early period of Cham culture are especially noteworthy. Based on these archaeological finds and discoveries contemporary Vietnamese archaeologists are investigating the dynamic cultural contacts of this area with the external world and the strong acculturation between exogenous and indigenous factors which led to the establishment of early states in this region. Due to qualitative and critical changes a number of local cultural features disappeared, while the forms and behavioral patterns of a new cultural structure appeared to replace the old elements. This essay will address the following subjects: 1. 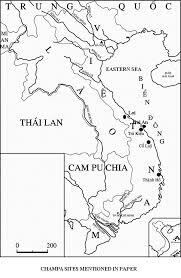 The archaeological sequences in Central Vietnam during the period from 500BC to AD 300; 2. Social changes reflected in archaeological sites and artifacts especially in the archaeological materials which evidence the transitional phase from late Sa Huynh culture to early Cham culture. 3. This presentation will also cover the so-called Sinicization and Indianization of the area and the impact of indigenous elements on the formation process of early states in Central Vietnam. This entry was posted in Archaeology [Khảo cổ học], Sa Huỳnh and tagged Archaeology, Central Vietnam, Lâm Thị Mỹ Dung, Sa Huynh. Bookmark the permalink.